Do you think internet should be a public commons rather than a corporate monopoly? Come over to Omni Commons to learn about the history of the internet, how it works, and how to build your own. 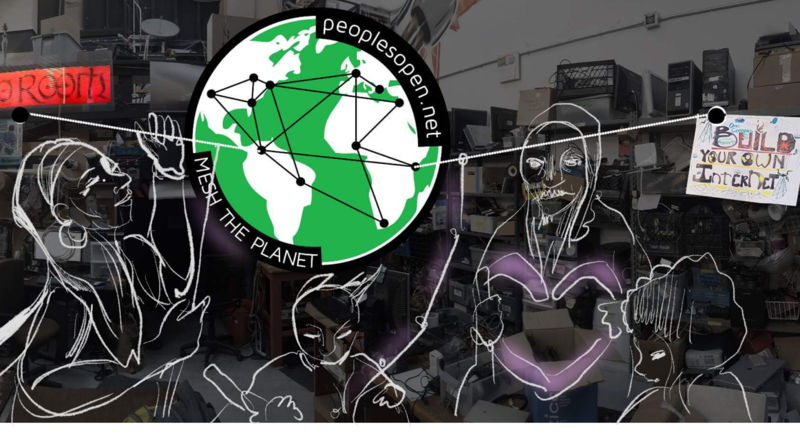 Meet and mingle with civic hackers and organizers behind peoplesopen.net: an open, community-based, network in the East Bay. The Omni Commons’ ballroom is wheelchair-accessible via a lift in the Entrance Hall, where there is also located a wheelchair-accessible single-stall bathroom. The Peoples Open Network enables anyone to share their Internet connection or extend signal from neighboring nodes. Learn more at peoplesopen.net. The Omni Commons is a 100% volunteer-run space for community organizing, collaboration, and creative production located in North Oakland. Learn more at omnicommons.org. ← Our first 5 minutes of fame!